A convertible Ford F-150 is wrong for so many reasons. Here are just a few we came up with: It looks dumb, the convertible top takes up bed space, it's less tough and it looks dumb (was that already said)? Unfortunately, if you can dream it—and have deep enough pockets—you can do it. 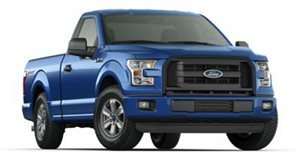 Those who have been reading CarBuzz for years probably guessed that California’s Newport Convertible Engineering (NCE) were the creators of this convertible F-150. They’ve turned a whole host of normal, hardtop cars into oddball droptops. A Tesla Model S, Nissan GT-R and Porsche Cayenne were just a few of the cars to have previously gone under the NCE knife. The GT-R actually looked good with its roof off. The same can not be said for the Porsche or Tesla. As for the F-150…just watch the video.